The Historic Riverside Hot Springs Inn and Spa is located next to the Portneuf River in downtown Lava Hot Springs just 22 miles Soda Springs and 30 miles from Pocatello ID. Lava Hot Springs is conveniently located between Salt Lake City Utah and Jackson Hole Wyoming/Yellowstone National Park. The Riverside Hot Springs Inn is Lava Hot Springs only full service hotel featuring lodging dining and spa experience We are the only full service hotel in town featuring 18 unique guest rooms world famous onsite hot springs massage and an award winning restaurant and lounge the Portneuf Grille and Lounge. Lots of things to do Weve got it all under one roof you dont even have to leave the building. Perfect for the business traveler or those seeking a relaxing rejuvenating experience. All overnight stays include complimentary wifi concierge service on site lighted parking private on-site hot minerals springs soaking and mid week Continental Breakfast or weekend breakfast vouchers in our restaurant based on single or double occupancy children 16 years and older gladly welcome. Staffed 24/7. Listed on the National Register of Historic Places with the National Park Service the Riverside Hot Springs Inn is the only full service hotel in town. The Riverside Hot Springs Inn was built in 1914 and quickly acquired the label of The Honeymoon Hotel for its yesteryear elegance. The historical Inn was known to be visited by several famous people including President Theodore Roosevelt. Our entire facility is non-smoking. Both the hotel water and the building is heated with hot geothermal water. Eco friendly bath guest amenities provided. Lava Hot Springs ID. Located in SE Idaho 150 miles NE of Salt Lake City Utah 30 miles SE of Pocatello ID and 22 miles W of Soda Springs ID Other nearby attractions include Jackson Hole WY located 130 miles from Lava Hot Springs and 190 miles from West Yellowstone MT. Fire and Ice Winter Fest Held the first full weekend of Feb in Lava Hot Springs. Wine Tasting Portneuf River Polar Bear Float Running of the Bulls Chili Cook Off Casino Night Disc Golf Tournament Torch Light Parade Comedy and more. Tube the Portneuf River Opens at 10 am. Rent tubes at Gator Tubing at the Riverside Inn. Guest receive 50pct rentals. Rent by the hour or by the day. Gingerbread Walk Gingerbread House Display Downtown Lava Hot Springs. Day after Thanksgiving through December 31. Holiday activities and the hot springs in winter make the town a fun place to visit. Lava Hot Springs is home to natural hot mineral springs laden in minerals ranging from 102 to 112 a soaking complex Olympic swimming complex and indoor swimming pool. 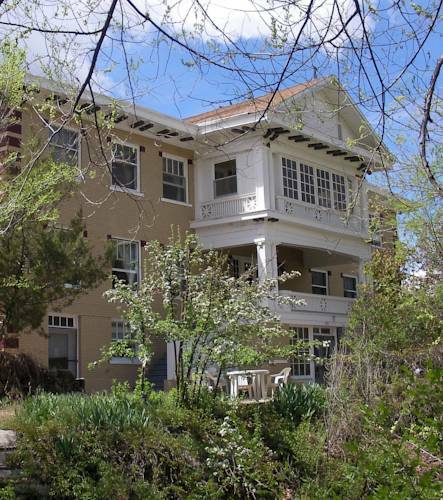 The Riverside Hot Springs Inn boasts private soaking and massage therapy. Wellness Festival Annually last weekend in May. Celebration of Lavas healing waters with classes seminars exercise classes swimming events and much more. Oktoberfest celebration in Lava Hot Springs Idaho. First full weekend in October. Family friendly events with food and drinks fun run seasonal activities and entertainment. The South Bannock County Historical Museum offers both permanent and rotating exhibits about the history of the Lava Hot Springs area and development of the surrounding communities of Arimo Inkom Downey McCammon Virginia and Swan Lake. Dinner music year round every Thursday night at the Riversides Portneuf Grille and Lounge. Enjoy a vast array of talented musicians. Located at the Riverside Hot Springs Inns Portneuf Grille and Lounge. Listed on the National Register of Historic Places with the National Park Service the Riverside Hot Springs Inn is 1260 square feet and built in 1914 as a hotel catering to travelers and the community as a stopover and boasting the healing waters. Tucked away in a scenic Idaho valley above the resort town of Lava Hot Springs is the Dempsey Ridge Golf Course. This privately owned 9-hole public course is operated. ~28 miles from Lava Hot Springs. ~62 miles from Lava Hot Springs. Desolate region is proud of building over 50 nuclear reactors, including the first nuclear power plant, which is open in summer for visitors. ~80 miles from Lava Hot Springs.